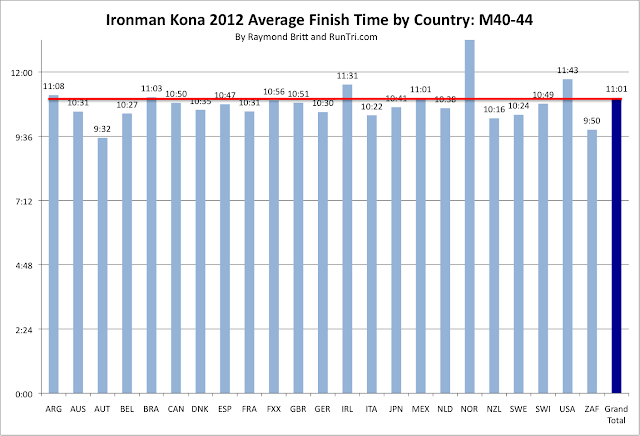 What country has the fastest Ironman Triathletes? 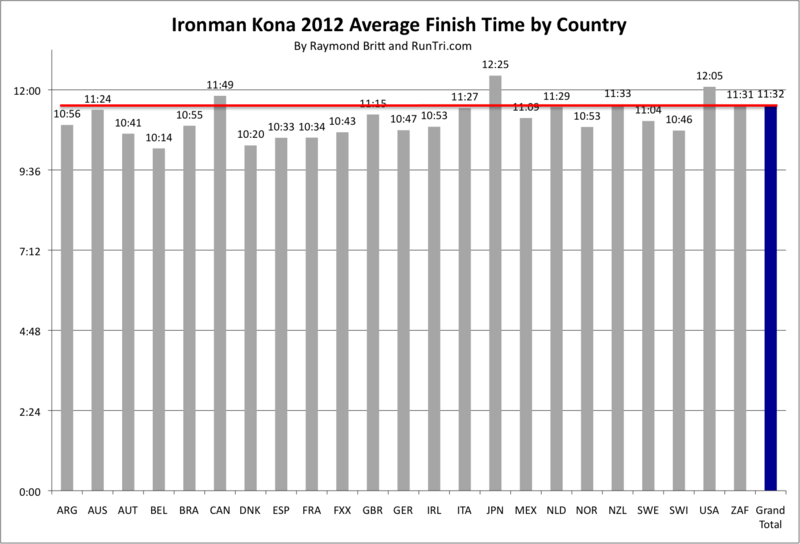 We've run the numbers, by age group, for 20+ countries with the largest number of finishers. Here are the results. 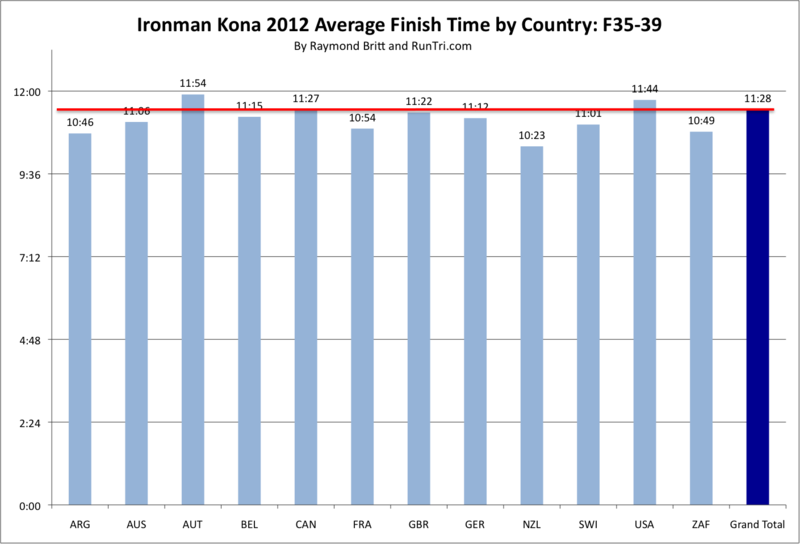 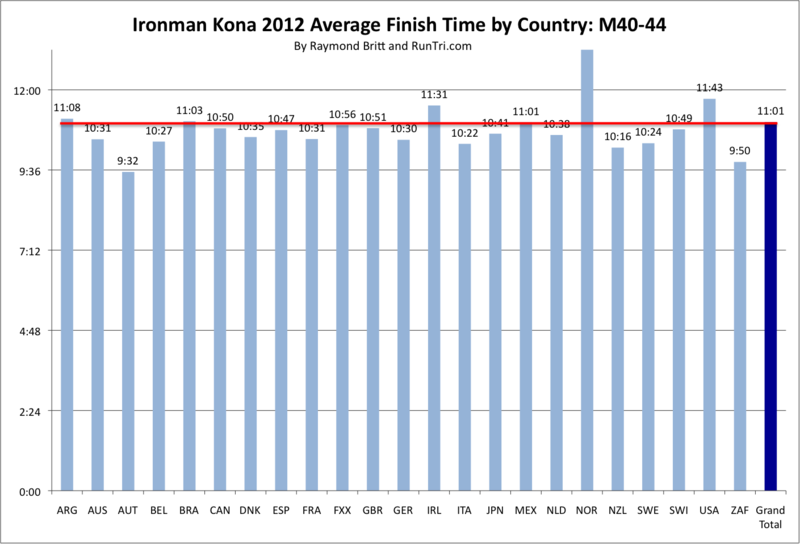 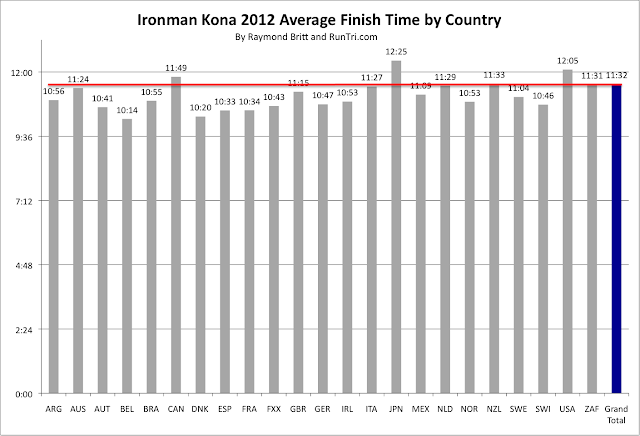 For more, see our complete Ironman Kona 2012 Results Analysis and our comprehensive Ironman Kona Coverage.